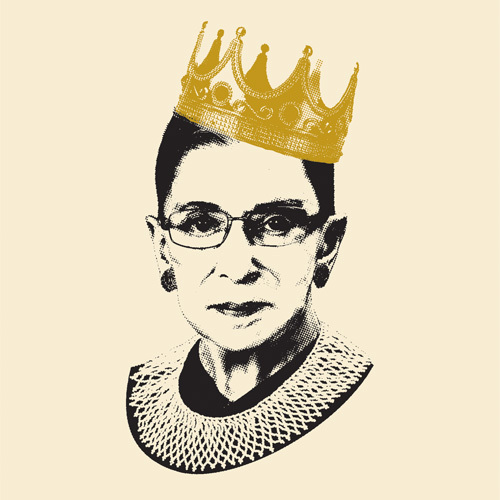 Notorious RBG: The Life and Times of Ruth Bader Ginsburg is the first-ever retrospective about the Supreme Court Justice−turned−cultural icon. Based upon the popular Tumblr and New York Times bestselling book of the same name, the exhibition takes an entertaining yet rigorous look at the life and work of Associate Justice Ruth Bader Ginsburg (RBG) and the Supreme Court. Through archival photographs and documents, historical artifacts, contemporary art, media stations, and gallery interactives, the exhibition will explore the American legal system and civil rights movements through the lens of RBG's personal experiences and public service—in particular the efforts she joined to expand "We the People" to include those long left out of the Constitution's promises. Created in partnership with the book's authors, Irin Carmon and Shana Knizhnik, Notorious RBG will be on view at the Skirball from October 19, 2018 through March 10, 2019, in commemoration of the twenty-fifth anniversary of RBG's appointment to the nation's high court, in 1993. Image credit: Book cover illustration by Adam Johnson. Photographs: Crown © by Hurst Photo/Shutterstock; Ruth Bader Ginsburg © People and Politics/Alamy.